Berlin has always been special to me, and for some reason, I always feel home when I’m there- maybe it’s the lovely combination of beautiful architecture and street art, cold weather and warm people and so many vegan restaurants (and chocolate!). My most recent visit to the most magical city in Germany was even more special because I was invited there by VEPSI and Neonyt fashion week with six other bloggers as part of their “Vepsi x Neonyt” Ambassadors of change” experience. I took part in tw0 panels in the fashion week- one was about Sustainable Influencer marketing and the other was about the Sustainable Development Goals of the UN with Kerry Bannigan. I had so much fun in Neonyt- it was such an amazing experience and I got to meet so many fascinating people, brands, and bloggers and I learned so many new things regarding sustainability, ethical brands and materials and vegan innovations. 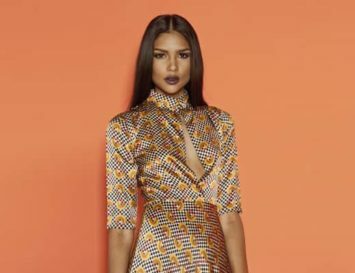 Here are some of the best vegan fashion brands at Neonyt this year that I found. Vegan luxury in all its glory! 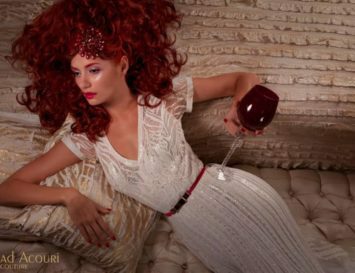 Humour Noir is probably one of the chicest brands I learned about at Neonyt. This award-winning German label combines a sense of art and aesthetics with elegance and innovative thought- their bags are manufactured in a traditional Italian workshop with premium, sustainable innovative materials like coated cork leather, recycled paper (Cartina), canvas and Piñatex. I’ve been following this brand since its very beginning, and meeting the women behind it in real life made me even more excited. The founder of the brand, Jenny Steinke, was so passionate, kind and lovely! The bags are so lux, unique, high-quality and each of them is really one-of-a-kind, and if you ask me, they’re just as lovely as any ‘it’ bag on the market! When I first saw the name Tearojoy, I thought it must have been “Tears of joy”, but in fact, the name “represents all the bad things we have done to animals and the environment. However, it is our hope that all these cruelty and deterioration will come to an end, and only tears of joy will remain” said Ting, co-owner of the brand. This Swedish vegan label chose four endangered species to represent the brand’s story and the materials used to create the collection, including cork, recycled paper, and recycled denim. I really liked their paper tote, which is super lightweight and durable. And if you think a paper bag will just dissolve on rainy days, think again: “Paper leather can be washed up to 200 times without losing quality” said Manqi, co-owner of the brand. 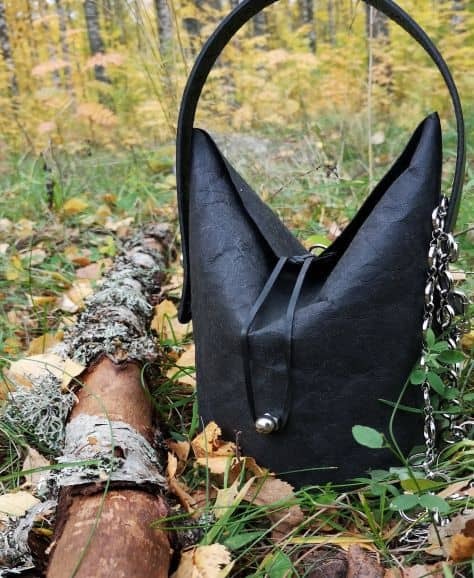 This fully vegan brand creates bags from…APPLES! Amazing, right? Apple leather is one of the newest vegan leather alternatives out there, and seeing it in real life is something I was waiting for. Svenja Detto, the founder of nuuwai, has been a vegan for several years was searching for a sustainable alternative to conventional vegan bags for a while. When he learned about Appleskin, she had a ‘eureka’ moment, and started planning and developing her wonderful, colorful collection. I really enjoyed the attention Svenja put into her bags, that are not only beautiful, minimal and chic but also very practical! When innovation meets quality! Nat-2 is an innovative artistic footwear brand based in Munich, Germany. The owner of the brand, Sebastian Thies, is representing the 6th generation of shoemaking, as the brand was founded back in 1856. 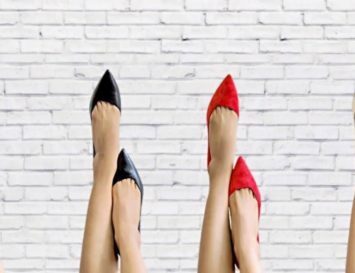 This heritage brand isn’t 100% vegan – however, it is one of the most innovative brands out there, creating sneakers from real, sustainable, recycled and fully vegan materials including wood, glass, stone and even foods like mushrooms, fungi and coffee! This is the one label that really blew my mind. 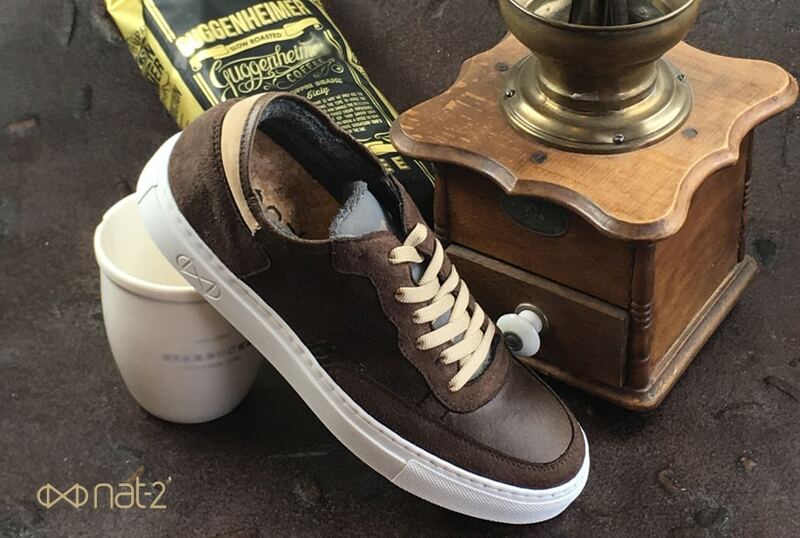 As a vegan blogger and journalist I’ve covered so many innovative, vegan leather alternatives, but little did I know about these amazing, innovative surprises (and if you are wondering- yes, the coffee sneakers actually smell like coffee!). 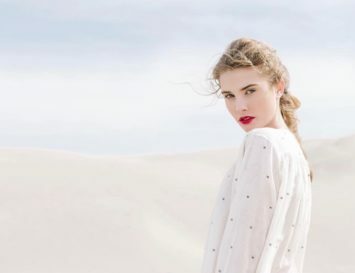 Aatise is a sustainable, ethical brand based in France that creates custom clothing for men and women. I particularly love the delicately patterned tea dresses – right up my alley! “It all began with an idea: the desire to create a line of clothing that is distinguished by its style and its audacity, but above all by its commitments and values. 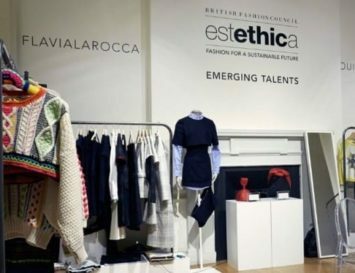 In order to free ourselves from globalized production methods and consumption patterns, to choose the models you really want to wear, to buy original, perhaps also unusual dresses, to promote know-how that guarantees the best quality, responsible production, and natural materials – and above all to eliminate the stock of unsold parts! That’s the best thing we can do!” said the Heide, co-owner of label. I hope you enjoyed reading a bit about Neonyt and some of the amazing brands who took part in it! Don’t forget to check my blog to read a bit more about my experiences in this dreamy event.